Malcolm Neesam: Music Over The Waters. Home/NEWS/Malcolm Neesam: Music Over The Waters. 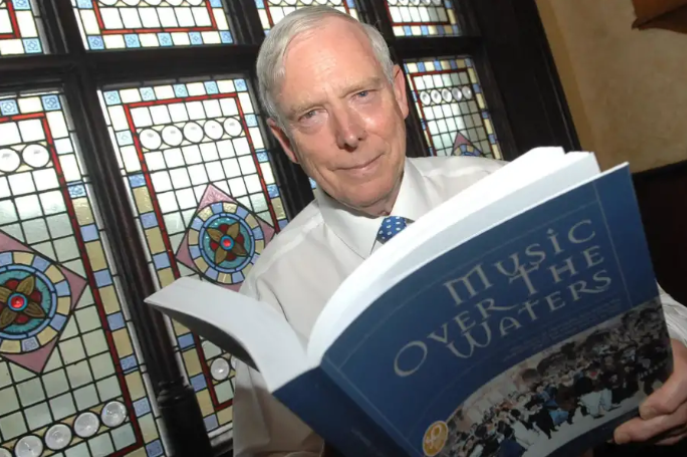 A richly detailed new book, Music Over The Waters, by Harrogate’s foremost historian Malcolm Neesam, explores the role that music has played in the town’s history, beginning in the 18th century, ending with the 50th anniversary of Harrogate International Festivals in 2016. Commissioned to celebrate the Anniversary of the Festivals this book examines the town’s musical culture and how music at Harrogate Spa led to the creation of Harrogate International Festivals and left a rich, musical legacy in the town. The book is a detailed history and celebration of music in the town with several entertaining stories and personalities along the way! Malcolm said: “My aim with the book is to tell the story of Harrogate International Festivals from the birth in 1966 and to explain how the festival came into being. “I had to examine why previous attempts to create a festival had failed, and to tell the story of music in Harrogate before the successful attempt of 1966. Once created, the festivals had an immense influence on the town’s other musical life, which is why the book became so large.” Malcolm’s weighty book offers a richly detailed history and celebration of music in the town full of entertaining stories and personalities. The book is peppered with famous names whose paths have crossed with Harrogate’s, including Holst, The Beatles and Amy Winehouse. This book is available to purchase for £30 from the Festival Office on 01423 562303 – own your own piece of Festival history.